Check it out, it is much better than the old school online defensive driving classes, where you had to read for six hours. The Comedy Driving online defensive driving course is only 5 hours in front of the computer (plus a 1 hour minimum of breaks), but you can take as many breaks as you like allowing you to take the driving safety course at your own pace. Students receive two certificates for the course: a court copy and an insurance copy for potential insurance discounts. Comedy Driving has educated hundreds of thousands of defensive driving students across Texas. 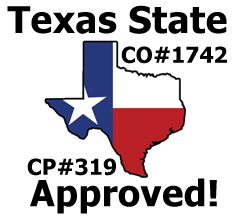 For 10 years, Comedy Driving Inc. has been providing Texas with the funniest and most educational defensive driving and driving safety classes for Houston and its surrounding areas. Our course is professionally designed by comedians to both entertain and educate. Defensive Driving Class in Houston, that's what we do. For common defensive driving questions check our Frequently Asked Questions page. Or To email us your own defensive driving questions just click this mail box. Make sure the court has given you permission to take a Texas Defensive Driving Class. They typically give you permission after they get your money! Copyright 2012 Comedy Driving Inc. all rights reserved.